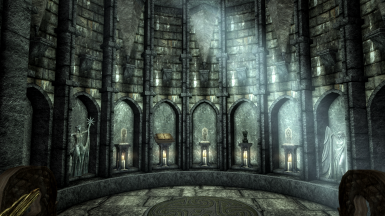 'When unfeathered fell, the diamond prospered. 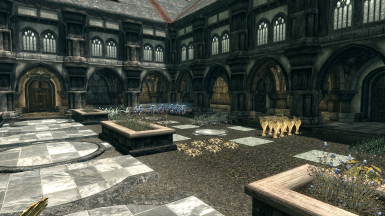 When White Ruby was seized, the diamond fled. 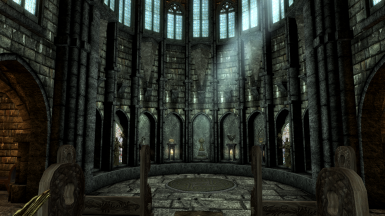 The Nine who guide us, has ed us to the land of the mythic dragon. 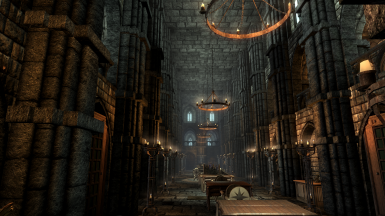 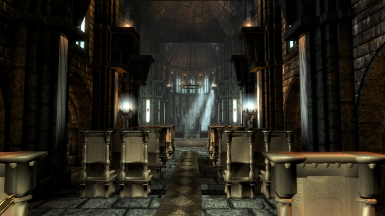 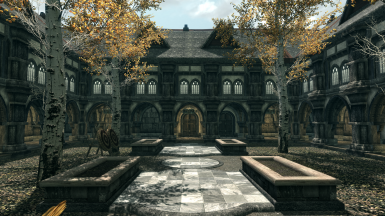 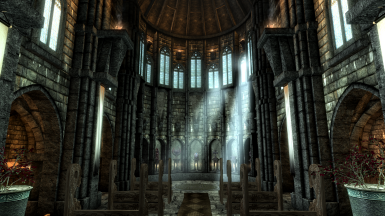 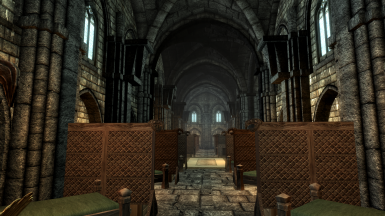 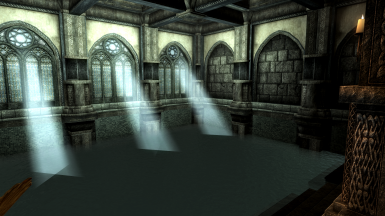 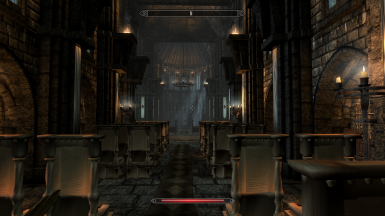 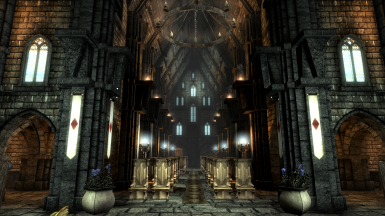 For by their will this chapel will be blessed by Akatosh. 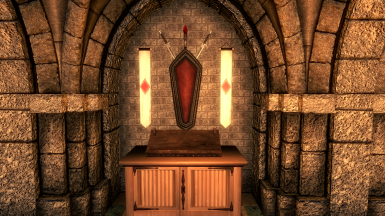 For the dragon who had protected the ruby in times of old. 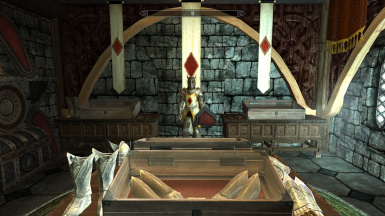 So shall the land of dragons protect the ruby yet again. 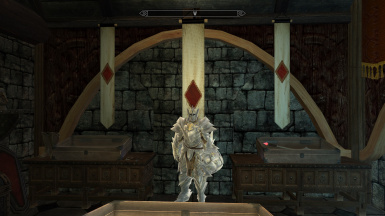 The diamond, now his sigil, is the sign of Akatosh. 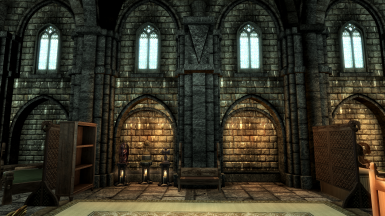 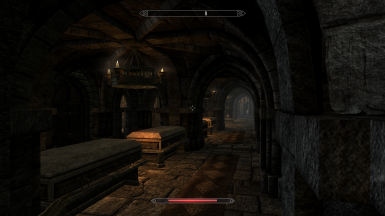 Have any of you wondered why the crusaders relics are just there in skyrim? 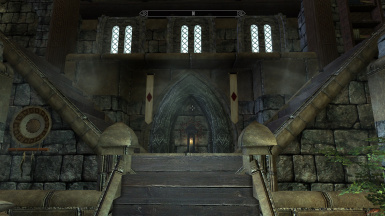 Sure you could believe Aryeun that they are gravitating towards the lands due to the impending crisis but why wouldn't they still be within the reaches of the order's remains as per the skeleton to the north? 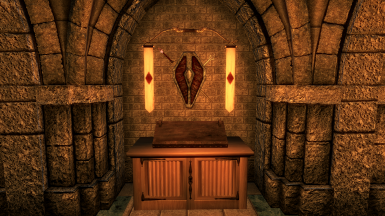 Even if they decided to scatter the pieces to the wind why wouldn't pieces have been claimed by the Thalmor as symbol of the very thing they wish to destroy. 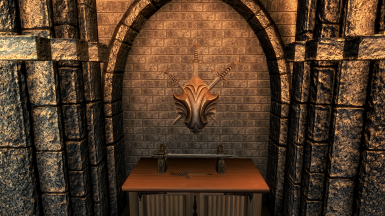 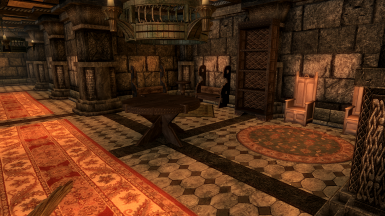 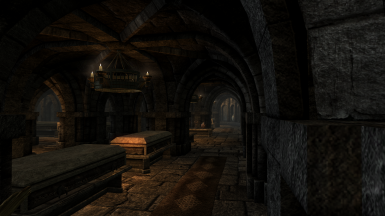 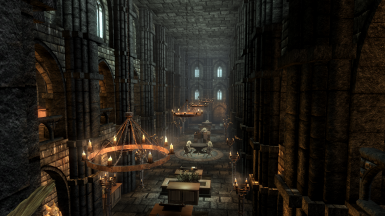 Personally a fellow Legacy Dev member and I had a discussion about a more immersive Knights of the Nine feeling that given how powerful and culturally iconic the crusaders relics are, the Thalmor would've dedicated a moderate amount of resources to find these relics and atempt to destroy them regardless of their cultural revelance as they are now influenced by Talos. 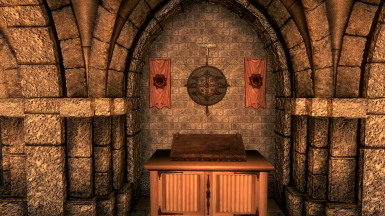 So unless they were forced to divert those resources to deal with a greater threat the Thalmor would've found the Sword chest and more than likely the Ring of the Nine, and by that extension would've found and destroyed all of their relics. 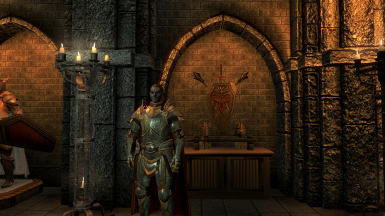 Adds an unmarked quest to finish the armor as well as an official start for Legacy's Crusaders relics quest besides adding in a more lore friendly story of the 4th era Knights of the Nine.